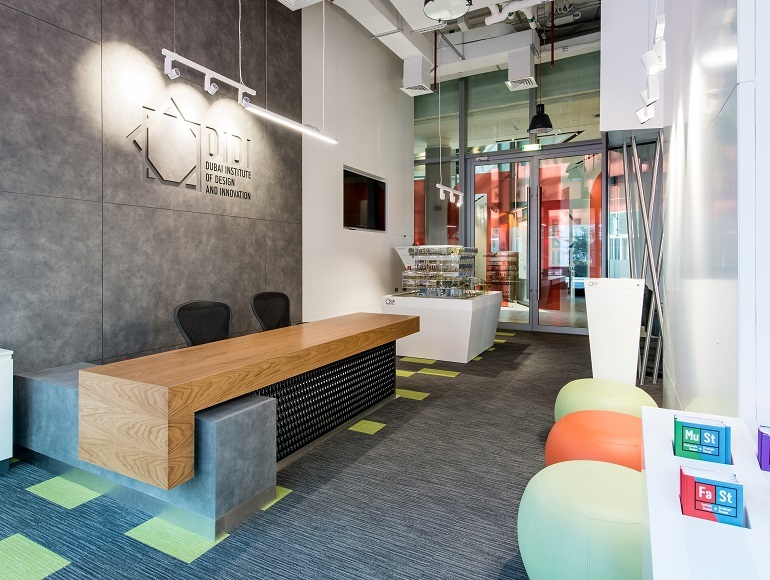 The Dubai Institute of Design and Innovation (DIDI) is a private, not-for-profit education institution, established by TECOM Group, part of Dubai Creative Clusters Authority. 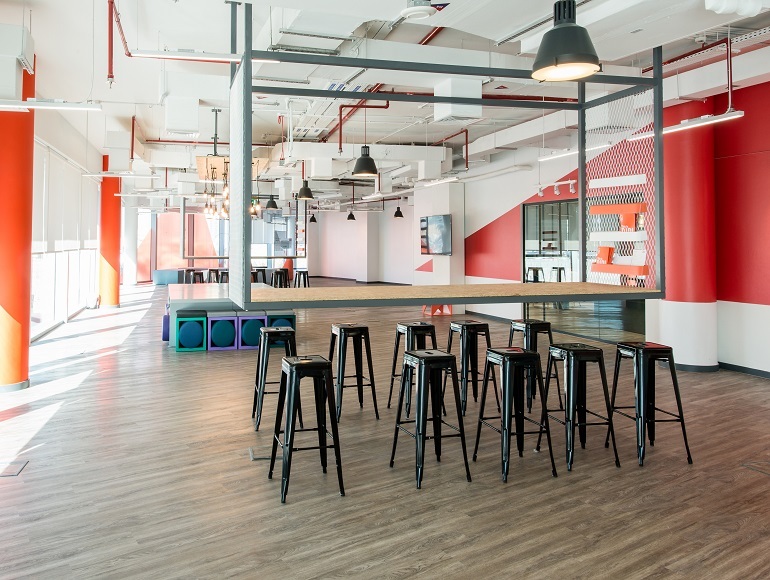 Located within the Dubai Design District (d3), DIDI’s curriculum has been developed in collaboration with two of the world’s leading universities for design; Massachusetts Institute of Technology (MIT) and Parsons School of Design. 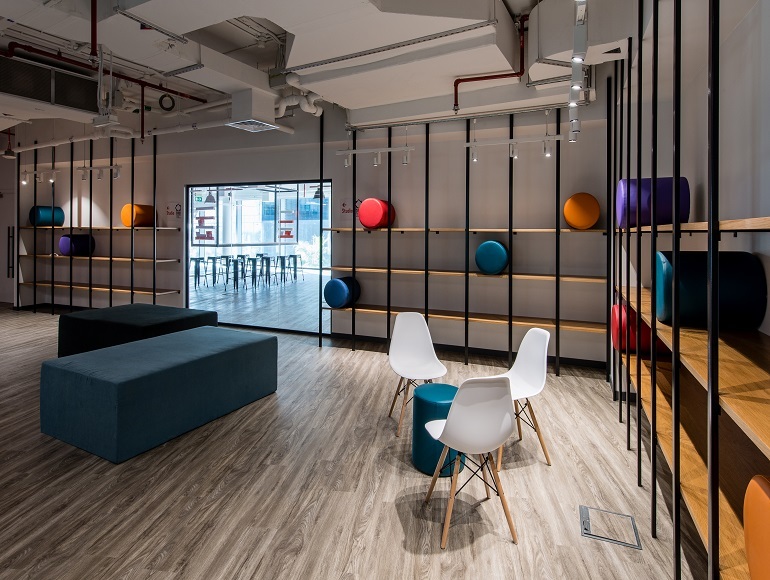 The fit out project consisted of an admissions and administration office on the ground floor, and a library and student working area on the mezzanine floor. DIDI’s temporary home was designed to be fresh, modern and functional until completion of their new d3 campus designed by architects Foster + Partners. 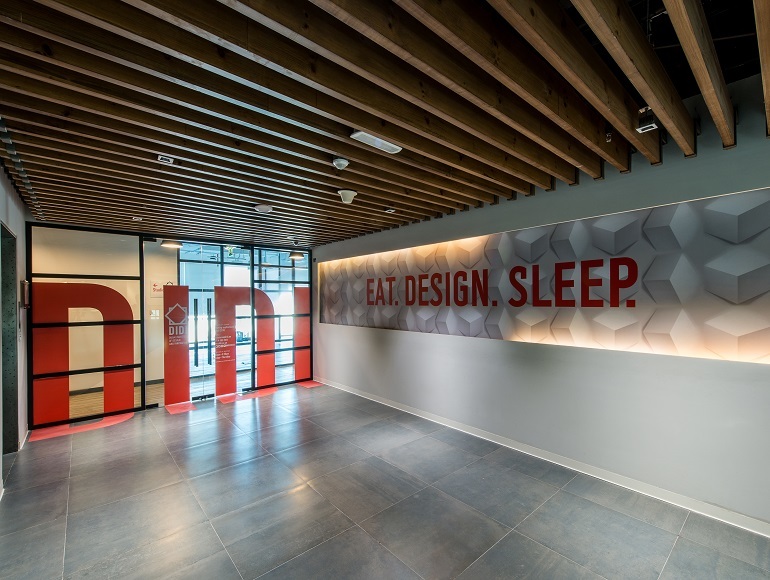 Summertown was appointed as the fit out contractor for the DIDI office and student campus due to its extensive experience in delivering high quality fit out projects in d3. Despite a low budget, Summertown met the challenges in delivering a high quality office space and student facility which utilises the abundant natural light of the d3 building. 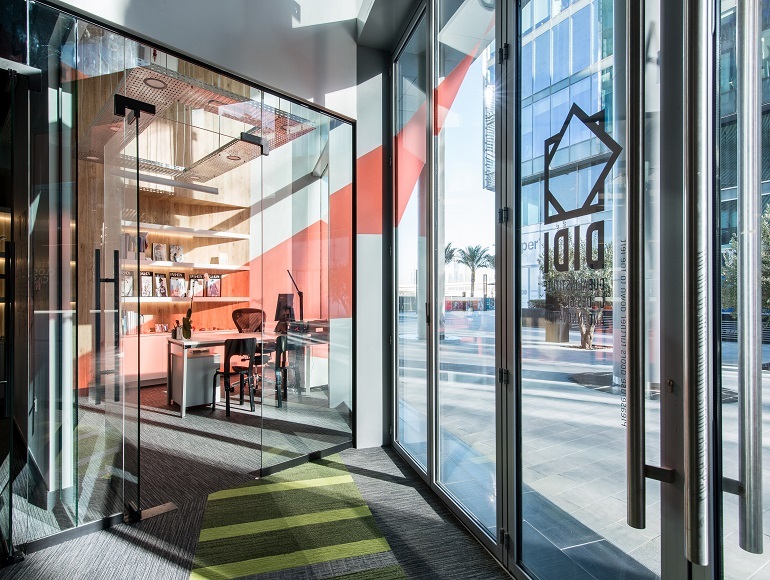 The result is a functional, modern student campus and administration workspace for DIDI to grow and establish prior the completion of their new campus building in coming years.